DietBet is Hiring a Part-Time Referee — and You Can Work From Home! Thank goodness this referee job doesn’t require sweating on a field, wearing unflattering stripes or slobbering on a whistle. Instead, you’re actually making a difference in people’s lives (not just sports fans) — and working from home. DietBet is a game challenging people to get healthier, primarily by losing weight. And holy extra-large cow — it seems like it works. It’s helped players lose over 5 million pounds since launching in 2013. Even more? It pays you to lose weight — $24 million has been dealt to successful players. And even more? Although the company’s based in New York, DietBet is hiring a part-time, work-from-home referee — or customer service associate. But this isn’t your average sit-at-home-with-a-headset-on customer service gig. 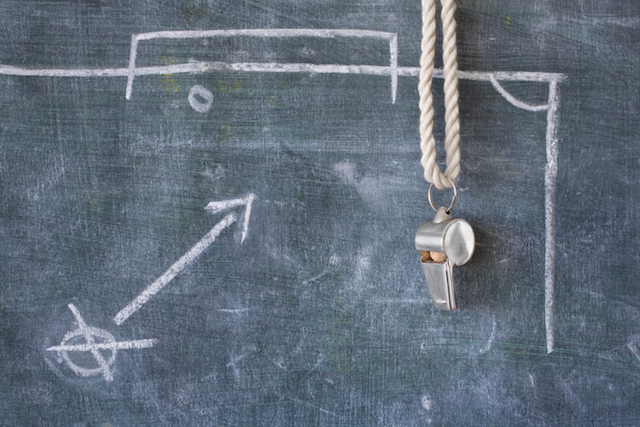 As a referee, you’ll connect the “players” to the game, making sure they’re having a positive experience, troubleshooting any issues and working alongside the product team on new features. This is a part-time position with a flexible schedule. Sometimes you’ll work 24 hours a week; other times you’ll work close to 40. Salary is negotiable and depends on your experience. Growing with the company and becoming full time seems very possible. Are You Qualified to Be a DietBet Referee? Like many customer service jobs, you should have strong written communication skills. And technology shouldn’t freak you out since you’ll work to troubleshoot technical issues. This is also a start-up environment, so staying calm and taking initiative are key abilities. You should also be prepared to work extra hours around New Year’s to help people set and keep those pesky resolutions. You might also need to be available nights, weekends and other holidays. Customer service experience is preferred, but not required. Your application will get a gold star if you’re passionate about helping others. “Sounds corny but it’s what this job (and our company) really are all about…” the listing states. So are you ready to start helping people? Apply for the job now. Your Turn: Would you rather be a diet referee or a real one?